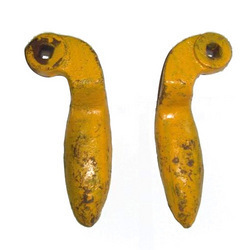 We are affianced in dealing with a wide range of SS Handles, which are fabricated from unmatched quality metals. Our SS Handles are widely praised for their superb performance and high functionality. These SS Handles are the perfect blend of attractive look, quality and durability. Company offers these SS Handles in various standard sizes as per the specifications and choices of our clients. Our product range includes Powder Coated Door Handle and Hand Support Handle, PU Coated SS Handle, Handle Bracket, Door Handle, Powder Coated Handle, SS PP Coated Handle, SS Clamp and Flange Handle. 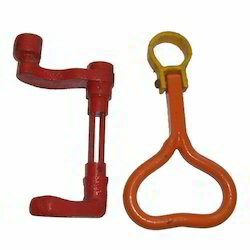 One can avail from us a wide range of Powder Coated Door Handle and Hand Support Handle. Fabricated from premium quality metals our products are high in durability and assure high functionality. We are widely appreciated for the sturdy construction and very attractive look of our handles. These are available in market in various dimensions and sizes as per the choices of our clients. 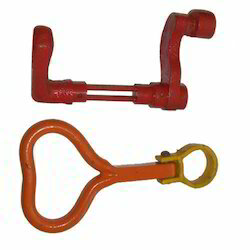 Being one of the renowned manufacturers and suppliers we are engaged in offering a wide range of PU Coated SS Handles. These handles are manufactured from unmatched quality metals, which make this break proof and resistant from rust and corrosion. These PU Coated SS Handles are manufactured as per the choices of latest trend and are available in market in various designs. 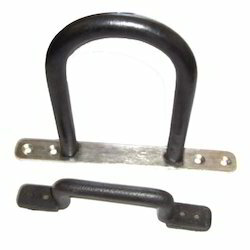 We offer these PU Coated SS Handles at market leading rate. Owing to the presence of our expert craftsmen and team members we are able to offer a designer range of SS Clamp and Flange Handles. We use quality tested stainless steel to manufacture these SS Clamp and Flange Handles and assure our clients for the high tensile strength and long service life of our SS Clamp and Flange Handles. 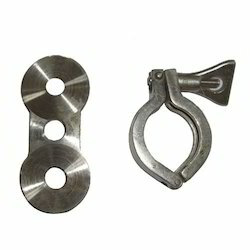 With the availability in market at most affordable rate these SS Clamp and Flange Handles are easily available in market. We are one of the renowned manufacturers and suppliers of a wide range of Powder Coated Handles. Powder Coated Handles offered by us are manufactured from unmatched quality aluminum which is sourced from our reliable vendors. These Powder Coated Handles are the result of hard craftsmanship of our expert craftsmen. 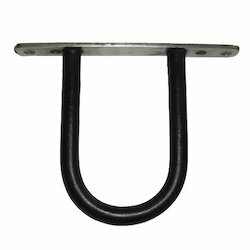 Powder coating make these Powder Coated Handles resistant from rust and long lasting. Apart from all our handles we also offer our clients a designer range of SS PP Coated Handles, which are manufactured from quality based metals. These SS PP Coated Handles are creatively designed and developed by our expert craftsmen. SS PP Coated Handles offered by us provide very easy grip and attractive look of these handles enhances the look of the cabinet. Our SS PP Coated Handles are very elegant in look and are available in market in various designs and sizes. We offer our clients a unique range of Door Handles which are antique in look and are very trendy. With the availability in various designs, sizes and verities these Door Handles are very appealing in look and are highly demanded. Our Door Handles are manufactured as per the international industry standards, and assures superb performance till long service life. Looking for Stainless Steel Handles ?